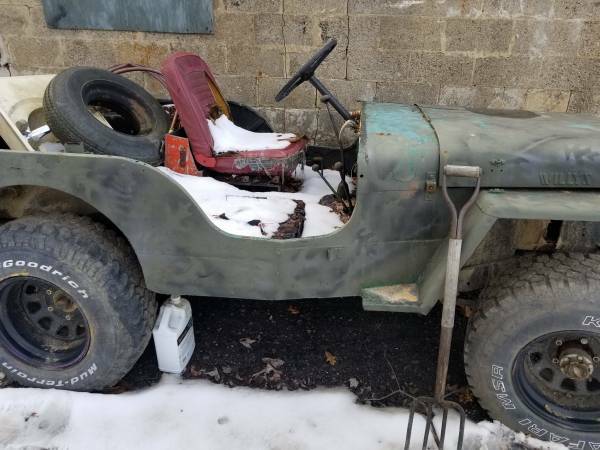 (02/09/2019) I think the trailer shown (though covered by a tarp) isn’t included in the price. The jeep hasn’t been run in a couple decades. 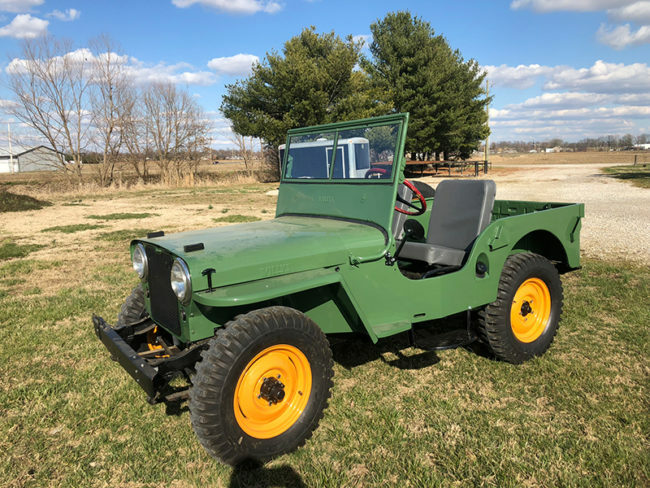 April 13, 2019 • CATEGORIES: CJ-2A • TAGS: Militarized, Nice. 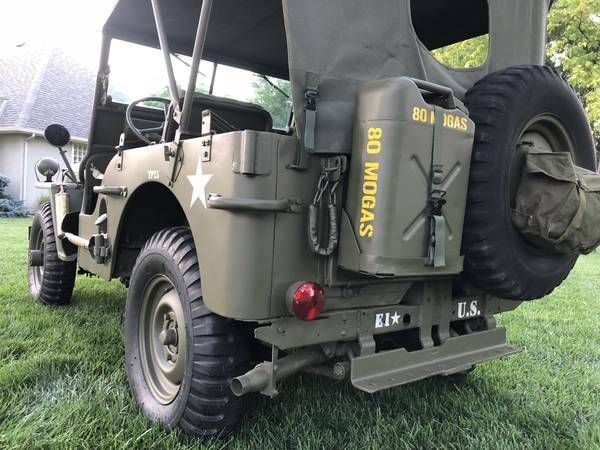 (07/29/2018) This MB close appears pretty solid. 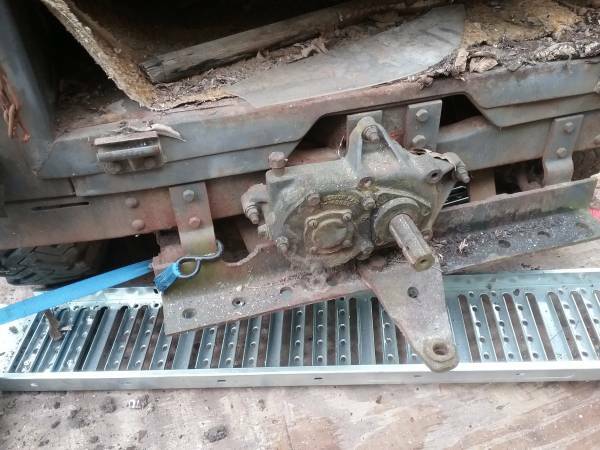 Has early Free-Lock hubs. 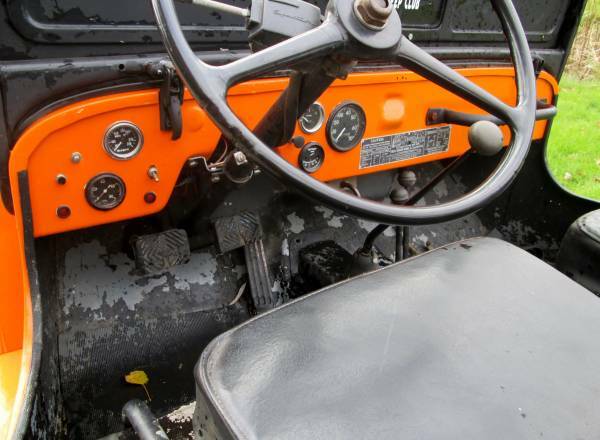 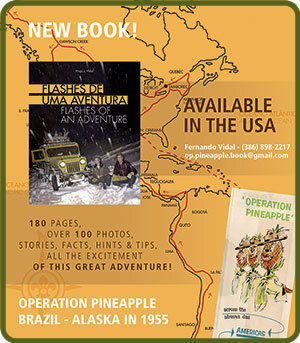 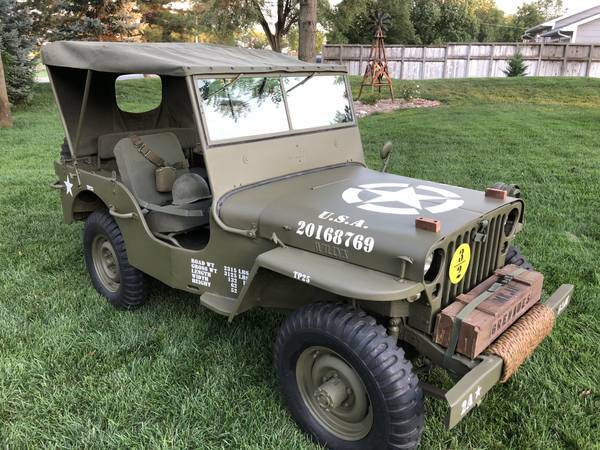 Up for sale is a 1947 Willys CJ2A serial #116959 that is finished as an MB style WWII Army military Jeep. 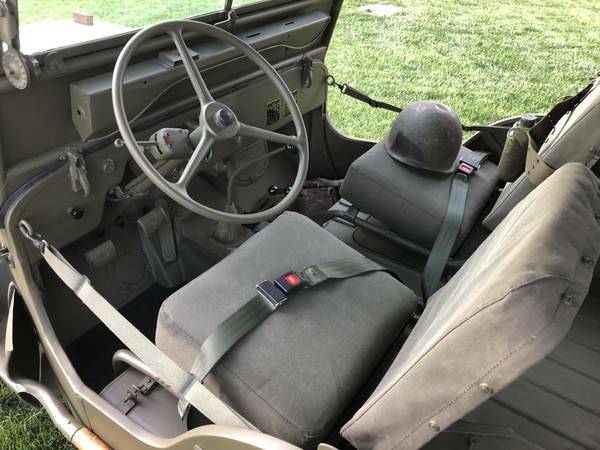 The accessories that are shown in the photos are also included, which include fire extinguisher, shovel, helmet, 1945 trench shovel, replica grenade crate, three military bags, pistol belt and canteen, bridge plate (removable), jerry gas can, door safety straps, and soft canvas top. 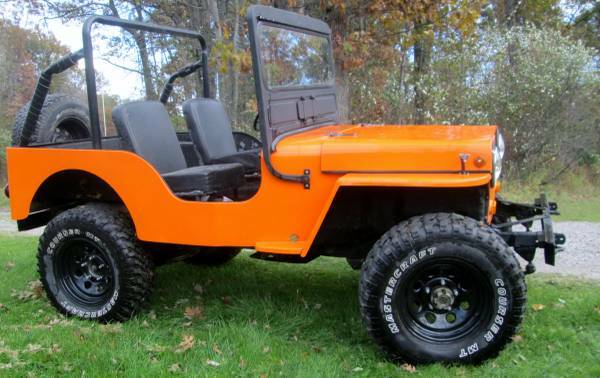 This jeep is ready to be driven and can be enjoyed today. 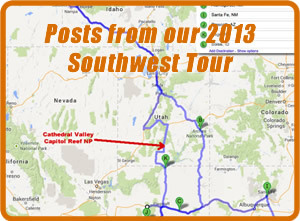 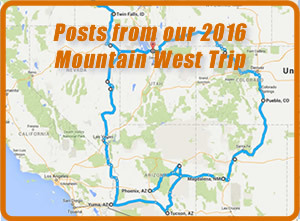 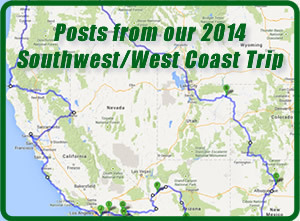 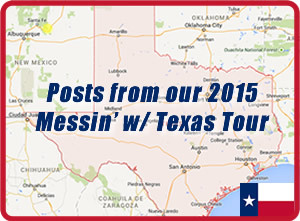 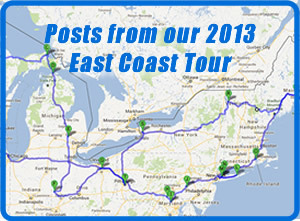 It is great in Parades, errands, and road trips. 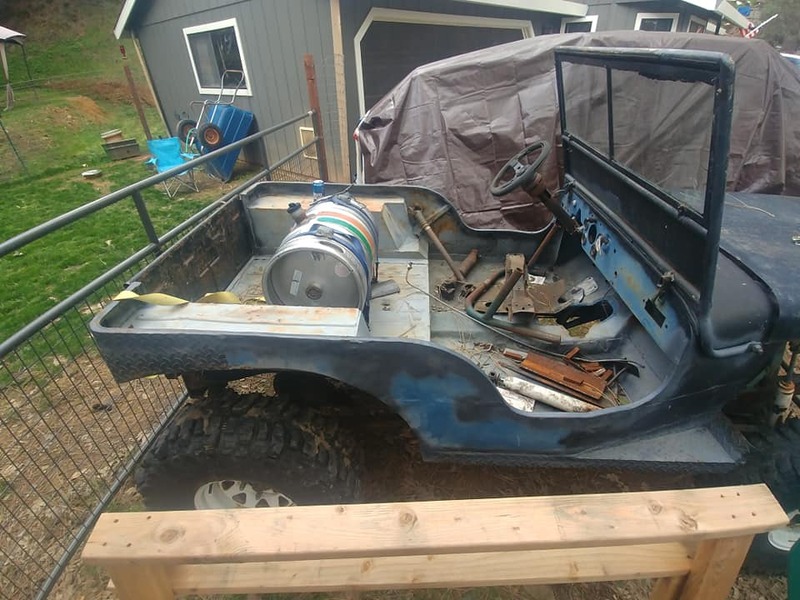 I use it currently for trips to the hardware store and Walmart. 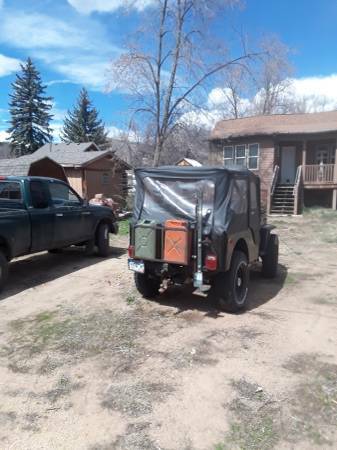 You get lots of looks and high fives. 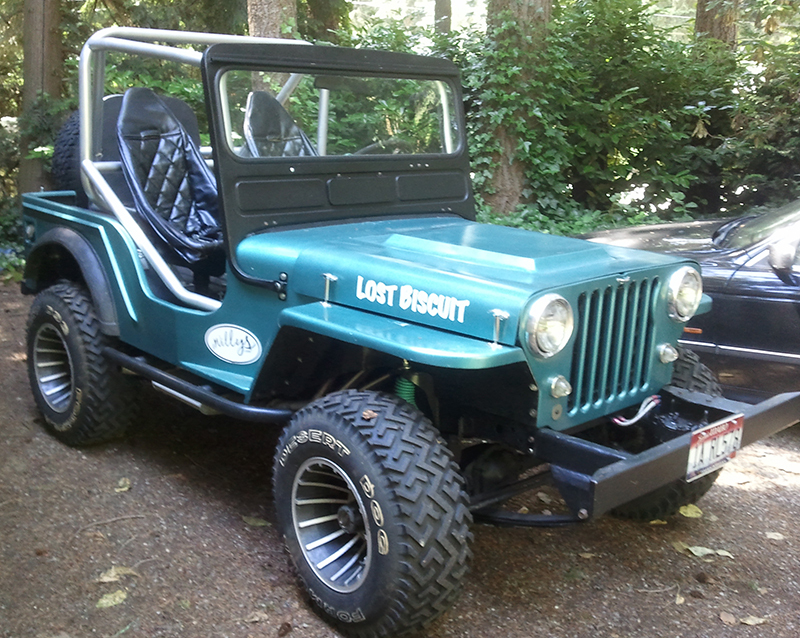 This is a Fun jeep! 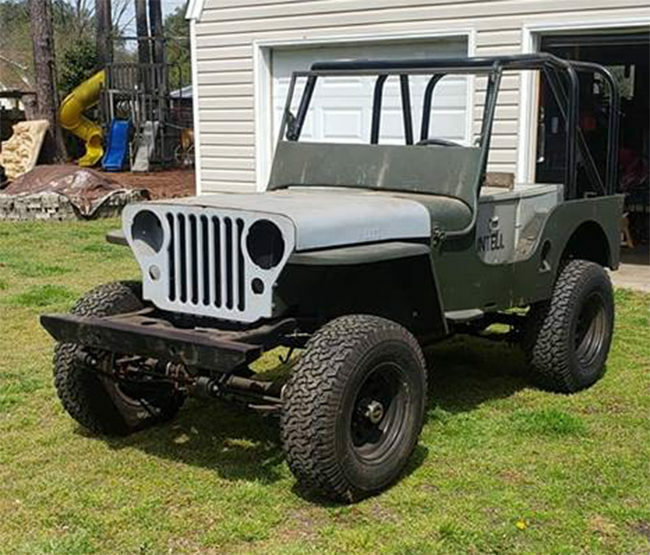 This is NOT a frame-off restoration. 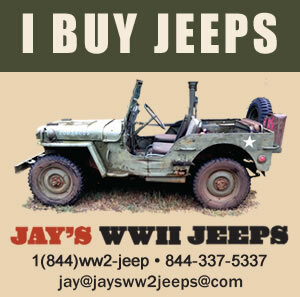 I take good sound jeeps, fix and upgrade where it needs it, and finish them to military. 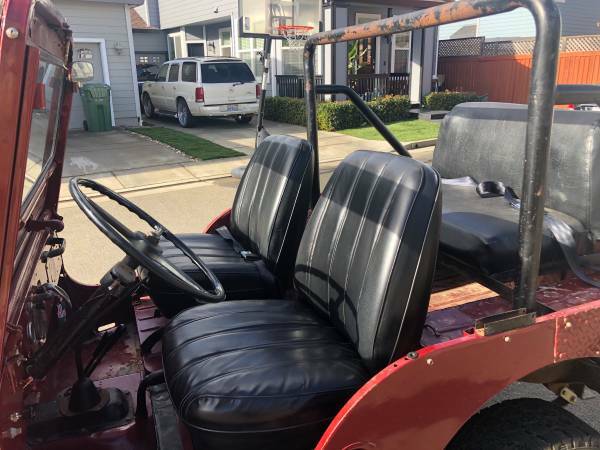 UPDATE: This is up for sale again on eBay. 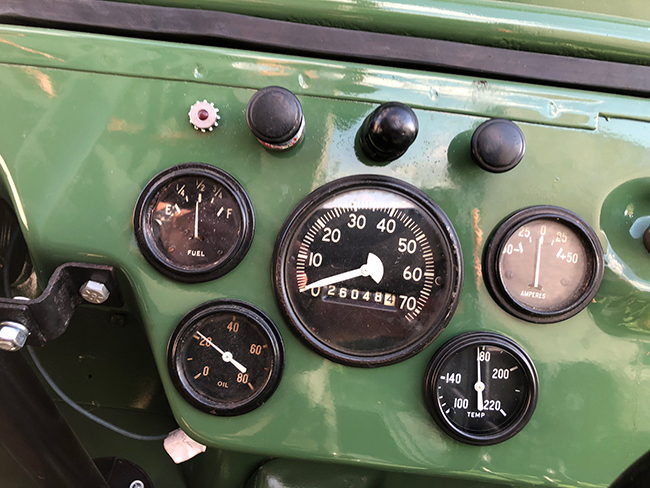 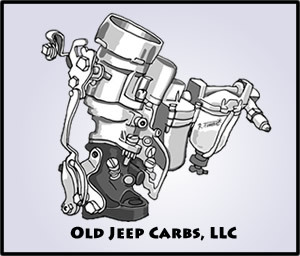 Regarding the “1953 Willys MB Jeep F-head” statement, the seller included that to attract hits rather than for accuracy (we had this discussion back in 2014). 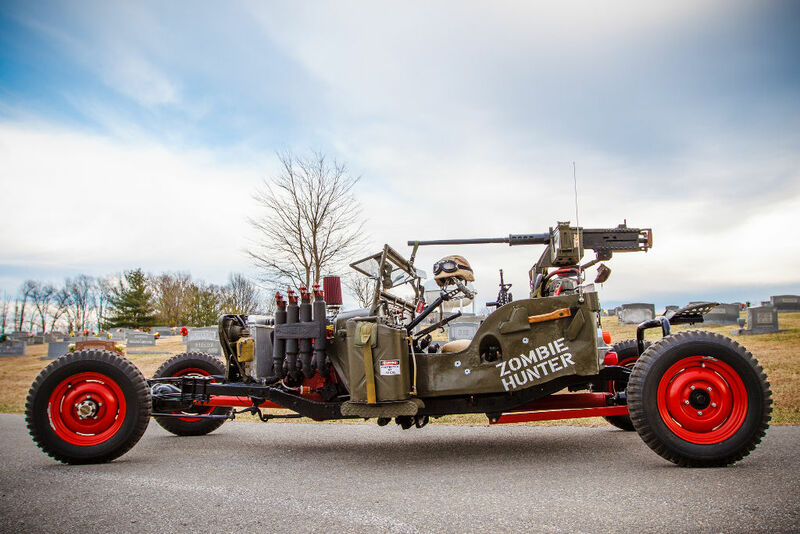 For all you zombie haters, here’s a zombie hunting jeep. “Up for auction, fresh out of the hills of Crossville, Tennessee, the Zombie Hunter! 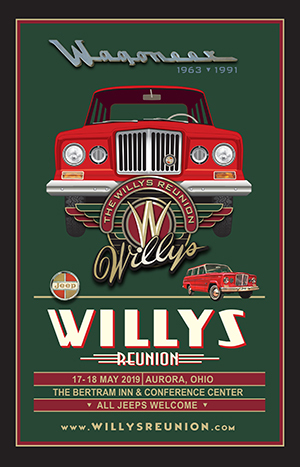 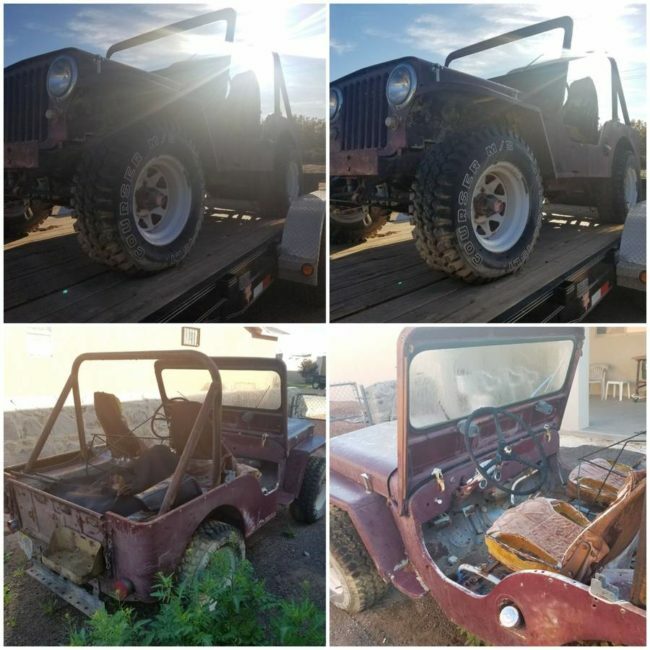 I have been in the paint and body work field for over 28 years, I have restored several Willys Jeeps (CJ2A, MB’s, etc) but I decided this time around to do a custom Willys Rat Rod! 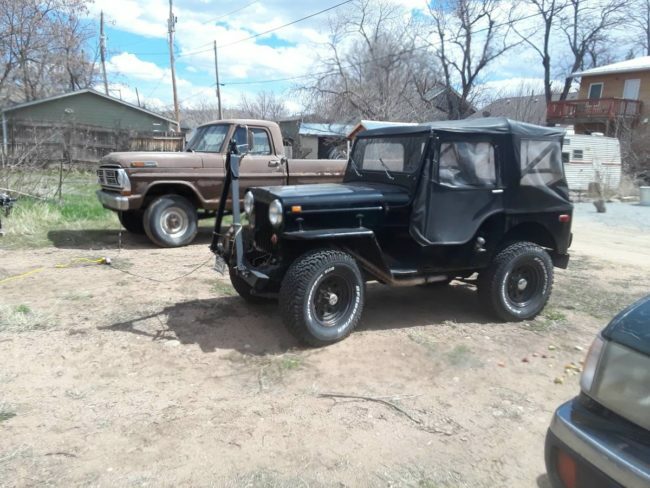 April 11, 2019 • CATEGORIES: CJ-2A • TAGS: Desert-Dogs. 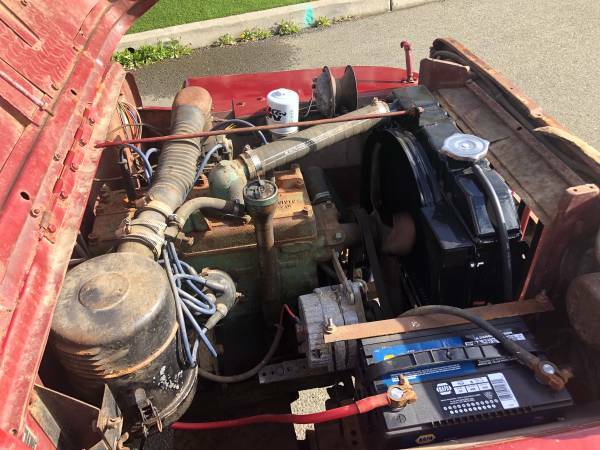 This includes a Husky Overdrive and an NOS set of Desert Dogs. 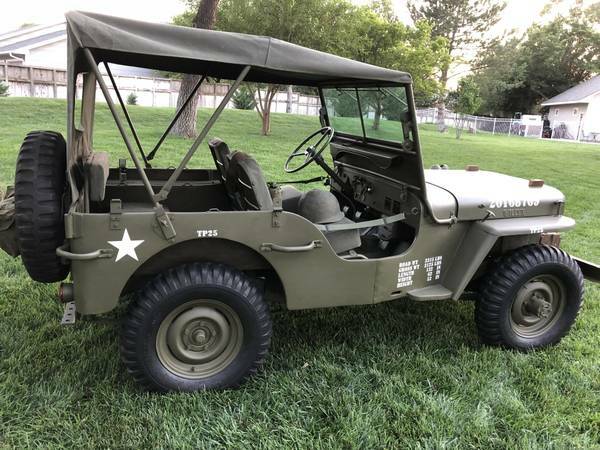 UPDATE: Still Available. 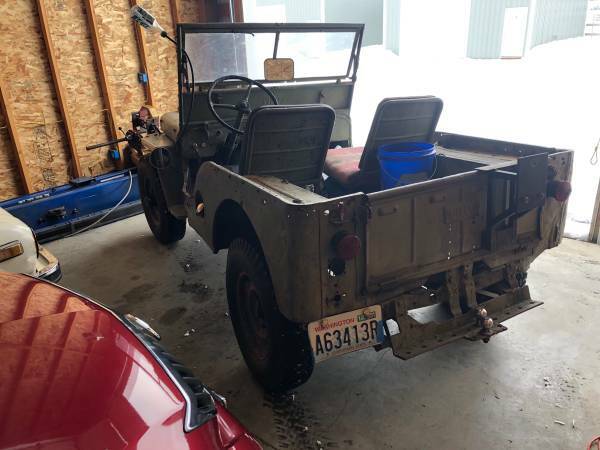 Includes an additional MB tub. 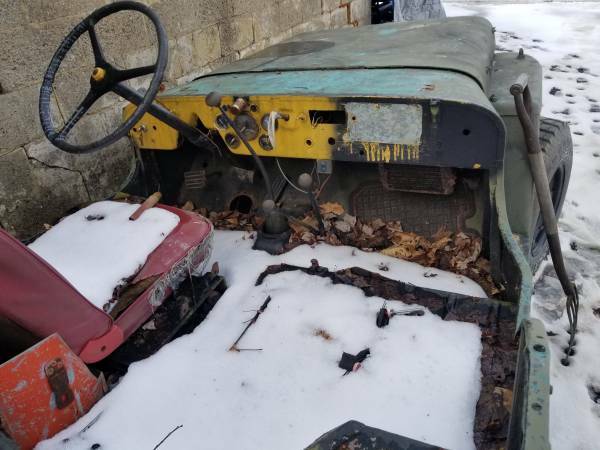 (01/14/2019) Runs, but needs work. 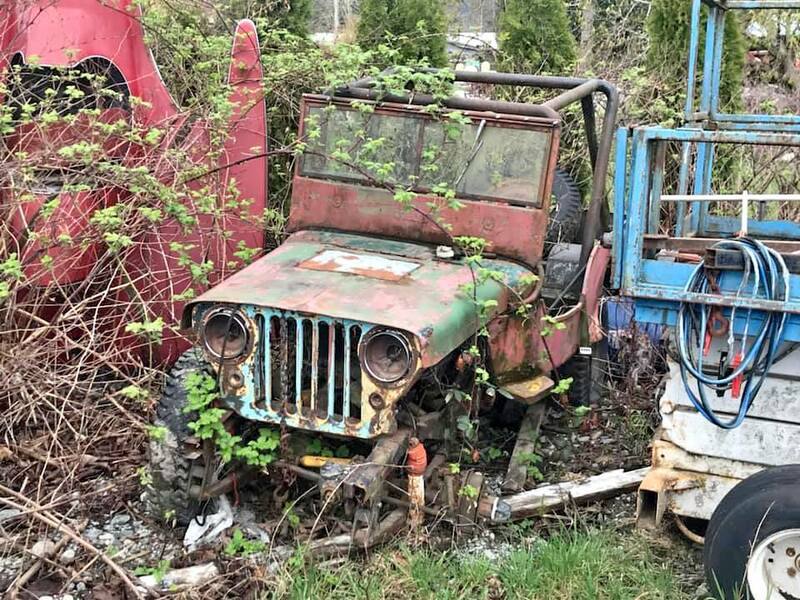 “Ive got jeeps of every vintage time to send the old toys to make room for new. 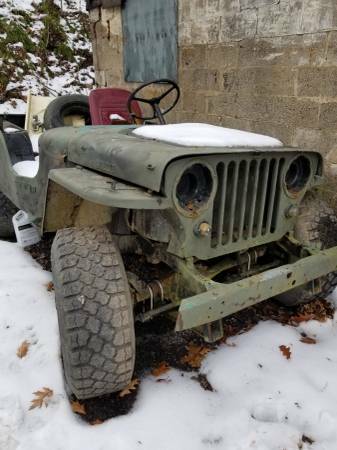 (02/23/2019) Doesn’t run at the moment. April 9, 2019 • CATEGORIES: CJ-2A • TAGS: Nice, Stock. 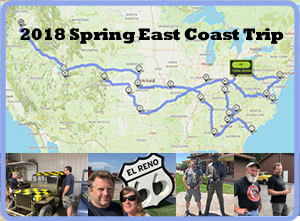 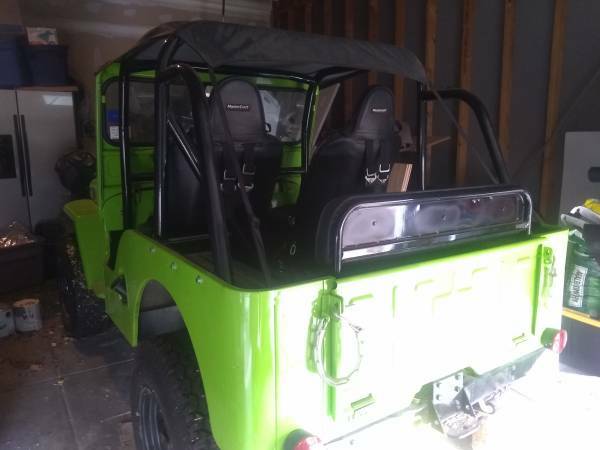 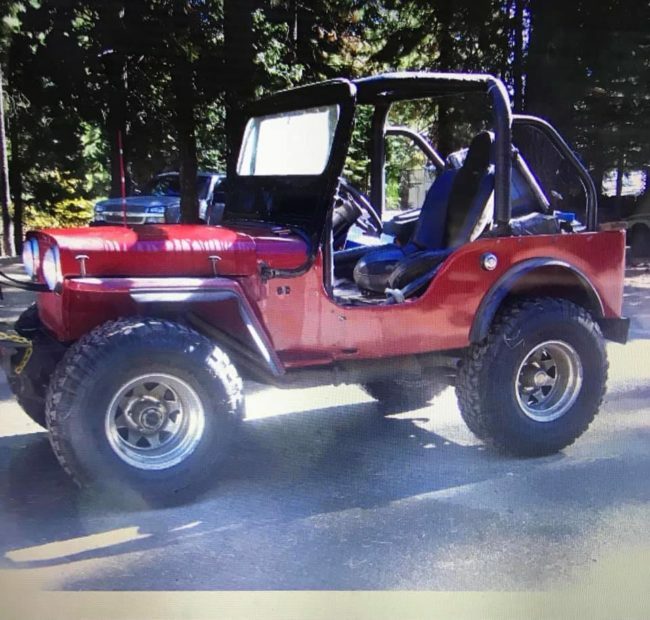 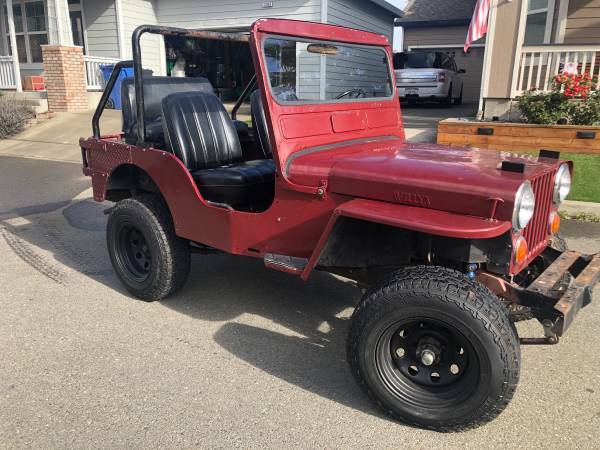 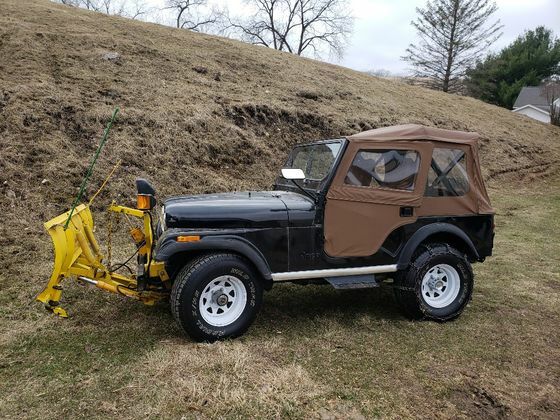 Tom’s selling his CJ-2A. 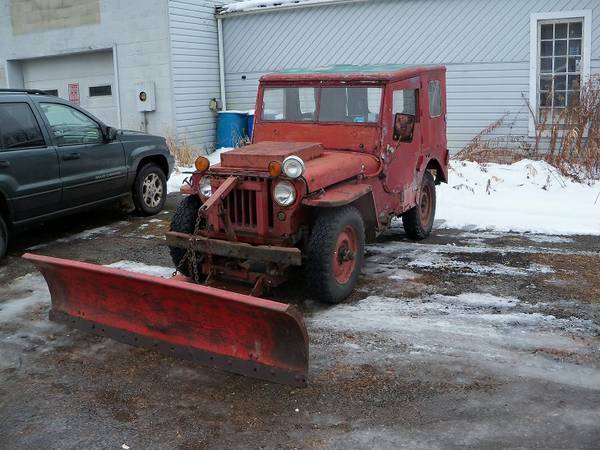 He would consider a trade for a stock 1945 CJ-2A or some other kind of unique CJ-2A. 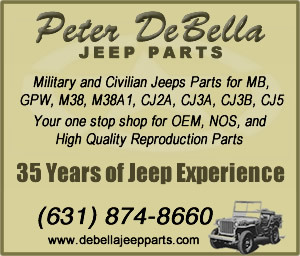 Please e mail him at nicholsop AT gmail.com with any questions. 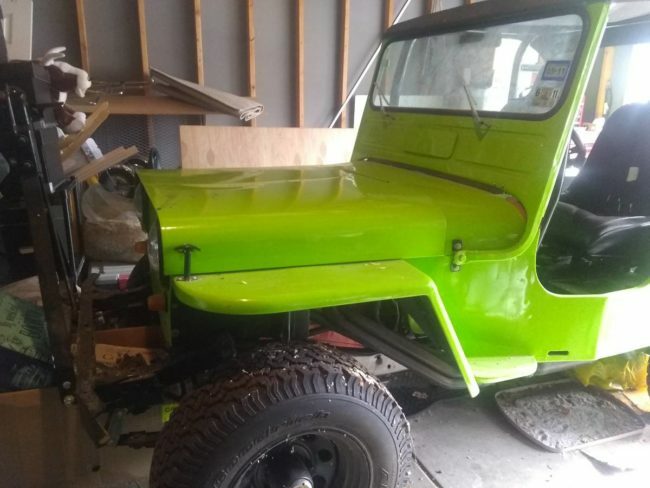 I’d say that body has had some body work. 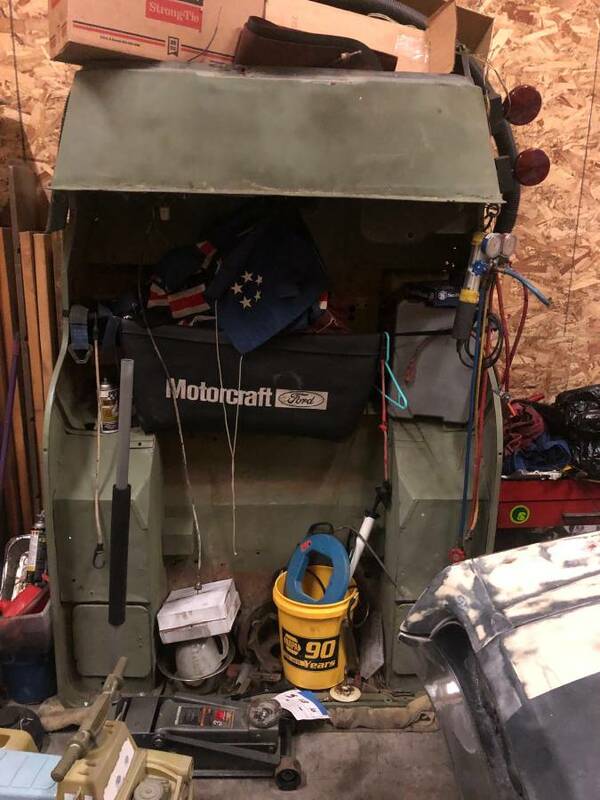 No description provided. 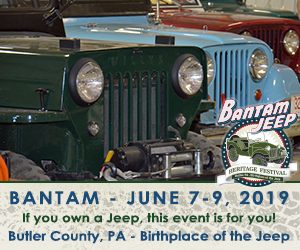 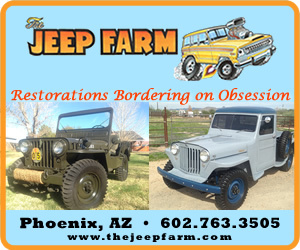 These jeeps will be auction on Saturday the 13th. 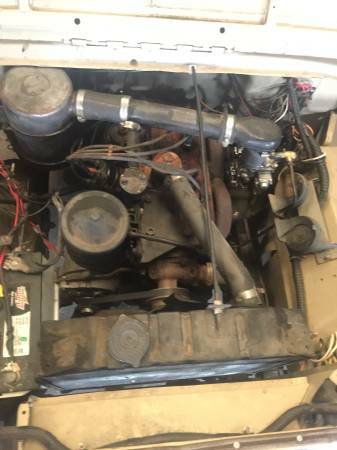 This has a CJ-3B body/hood for the taller V6 Vortec installed in it. 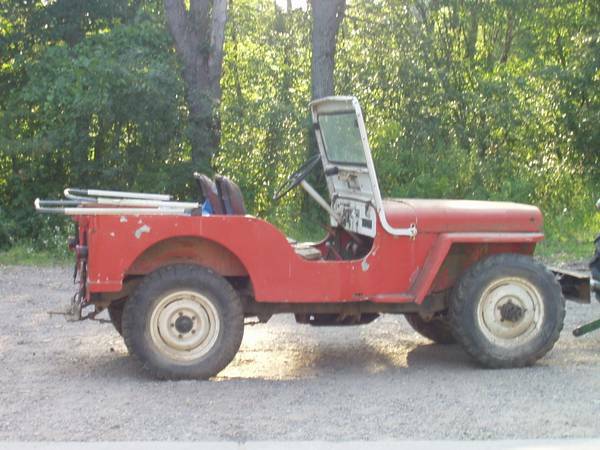 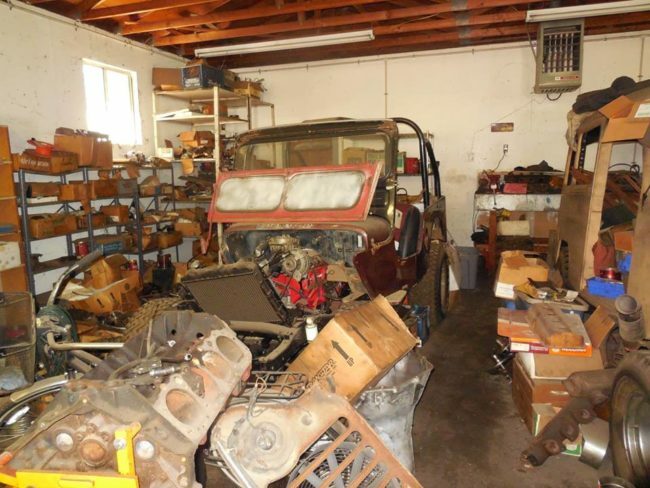 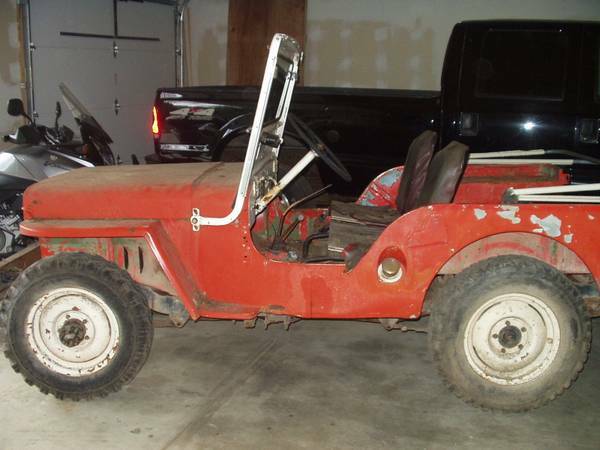 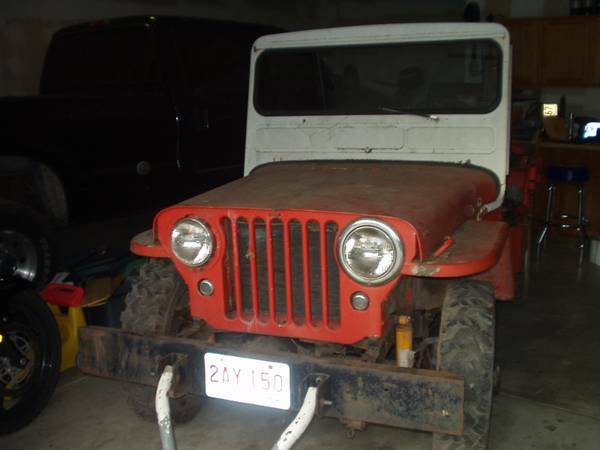 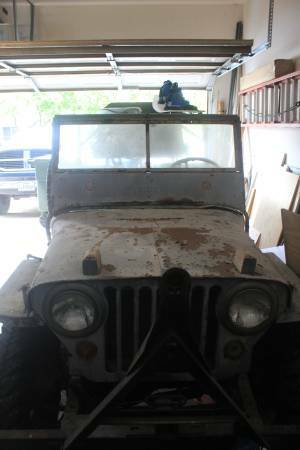 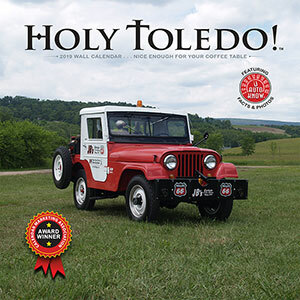 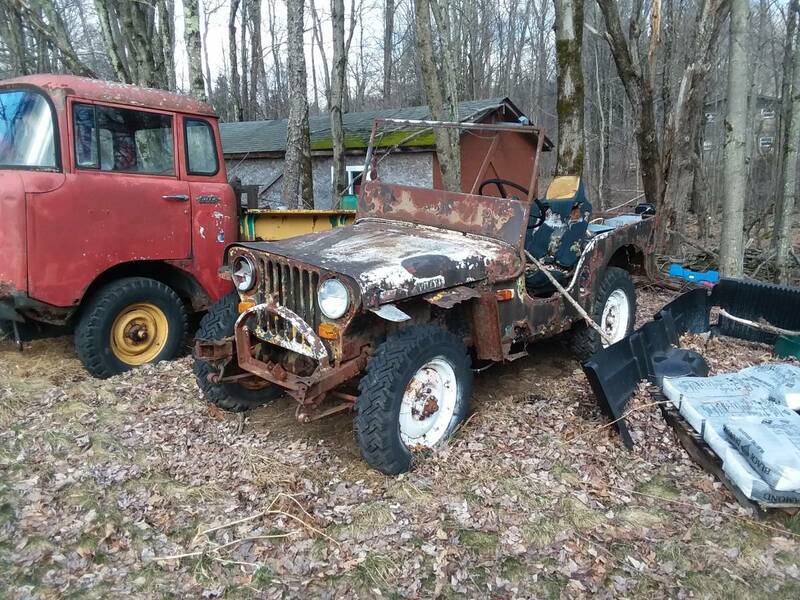 This includes a 1962 CJ-5, which looks more like a parts jeep. 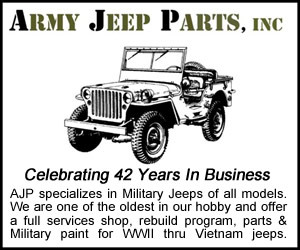 The 2A is listed as a 1943, but the serial number and other details puts it as a 1947 2A. 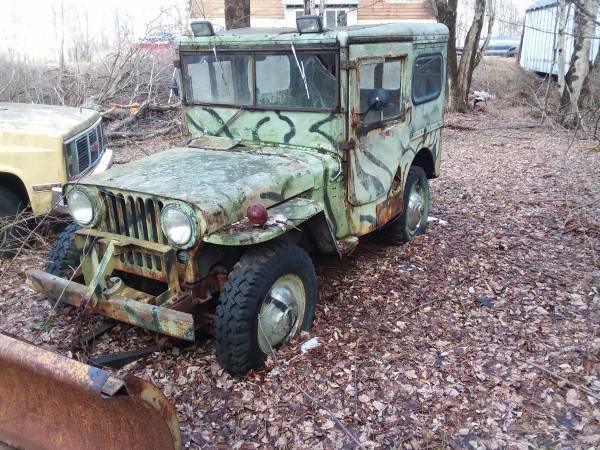 Looks like an old Texas hunting jeep. 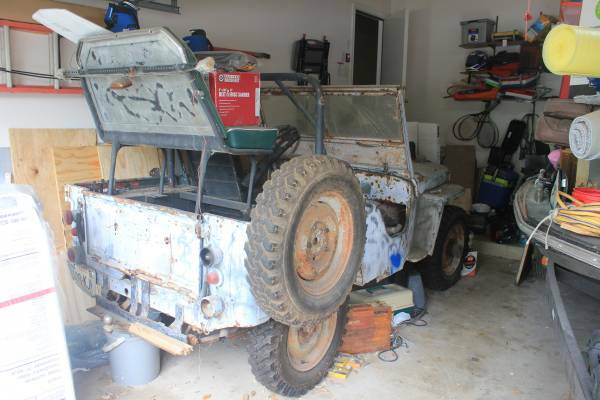 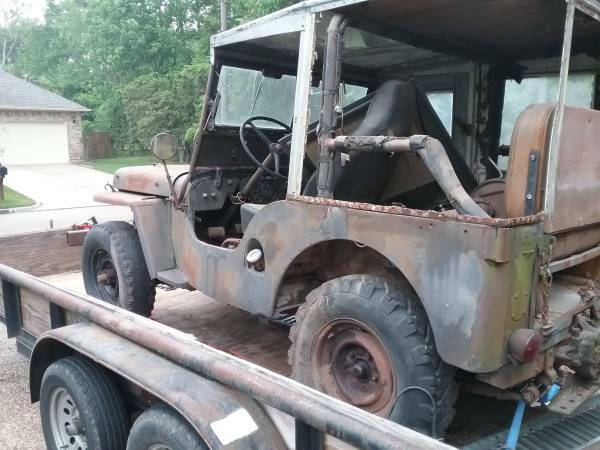 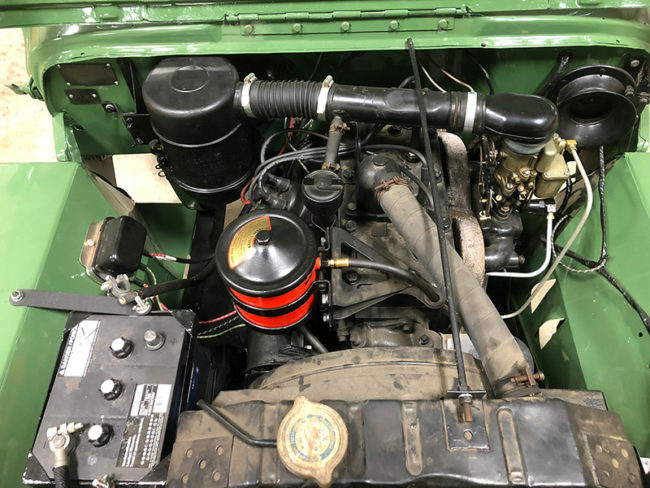 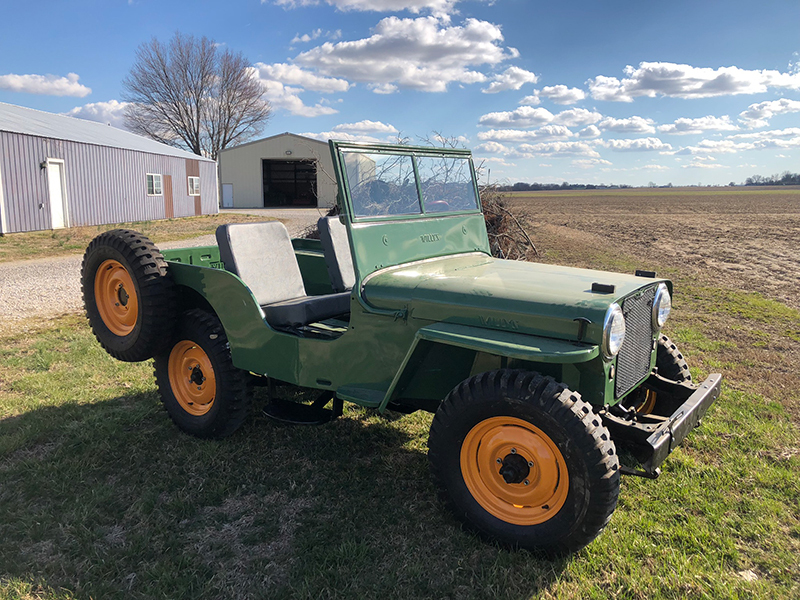 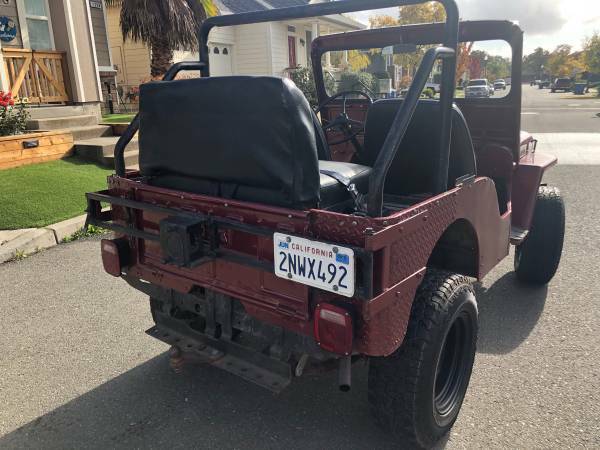 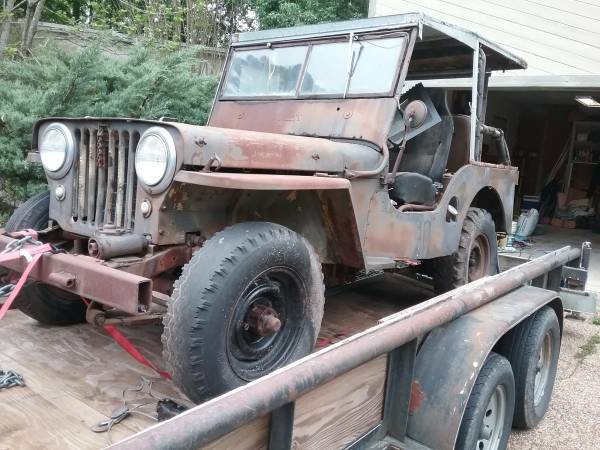 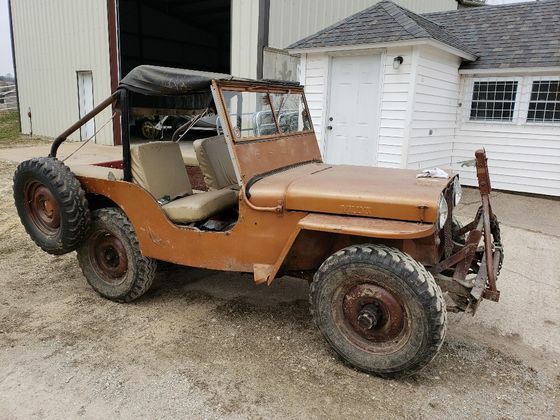 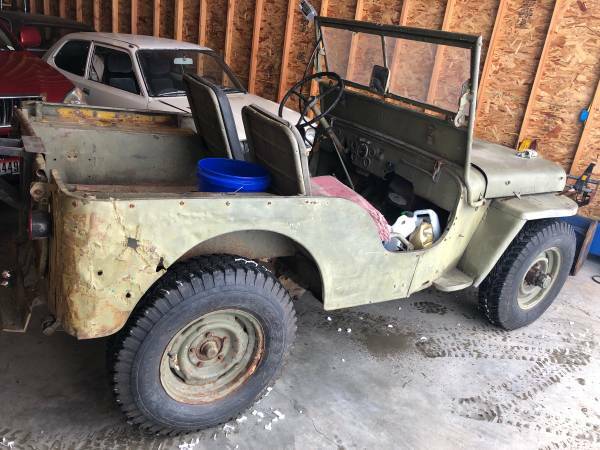 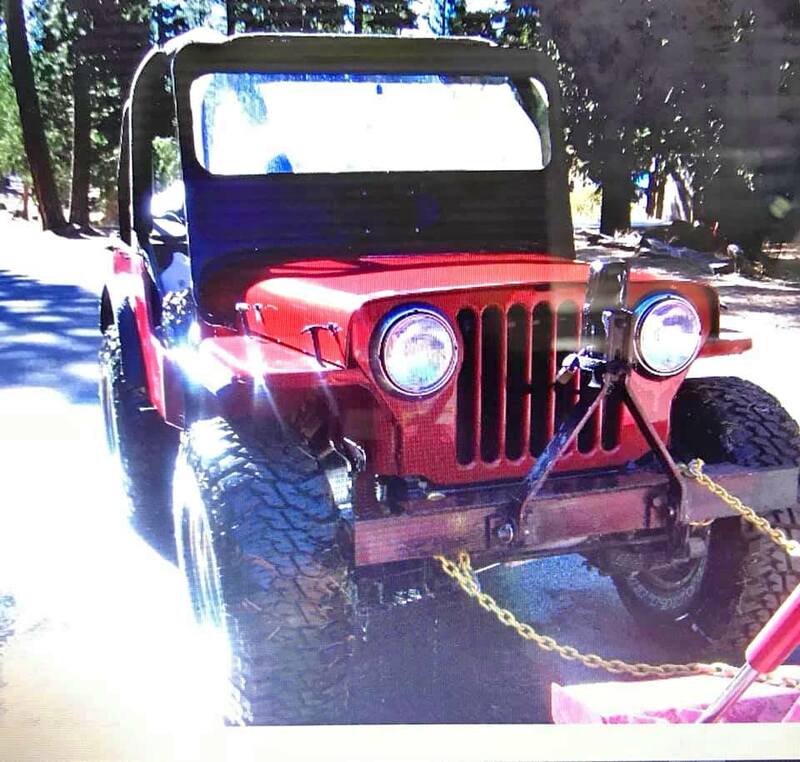 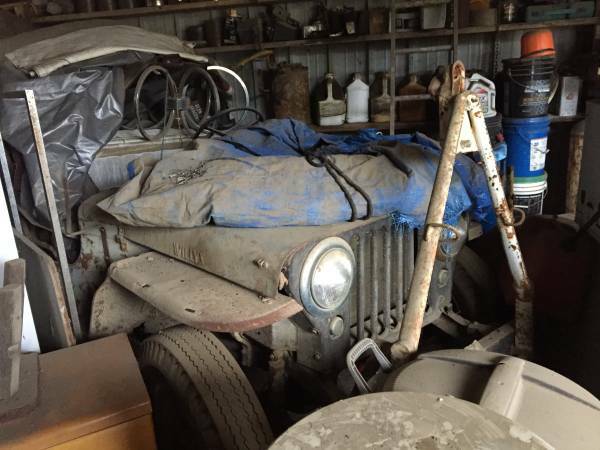 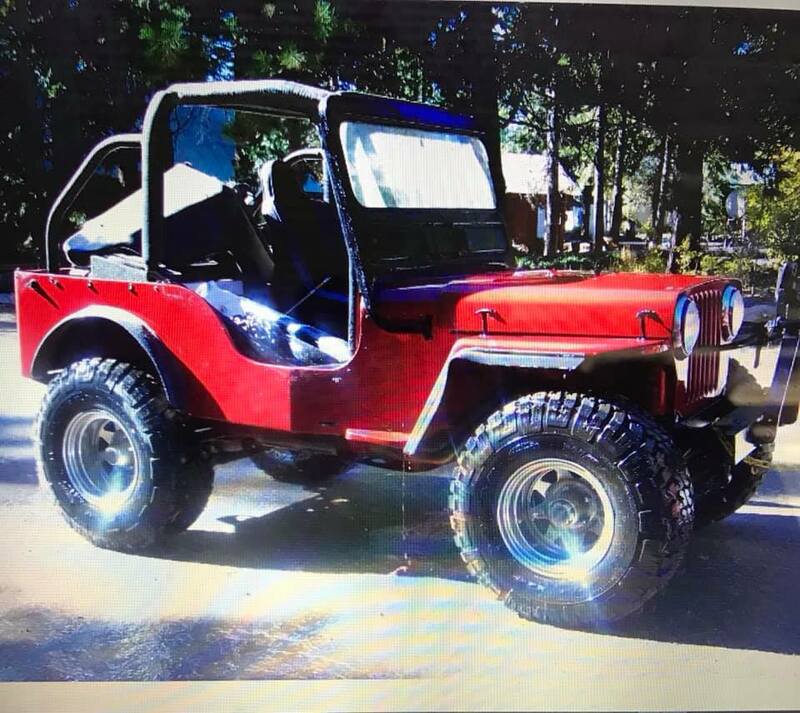 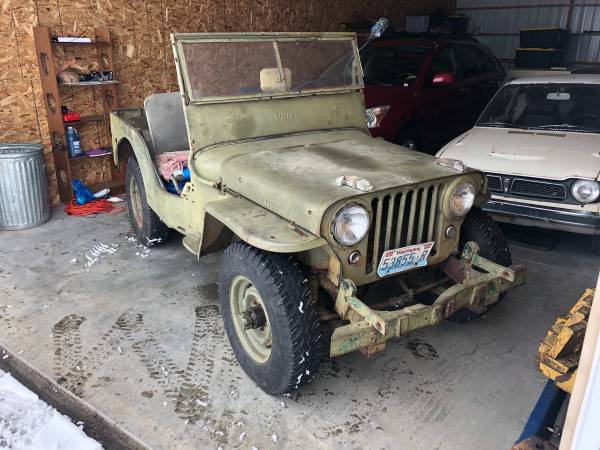 “For sale is my 1946 Willys (jeep), I have had it for years and years but has been stuck in my garage for 10 years and wants to be restored or taken to property. 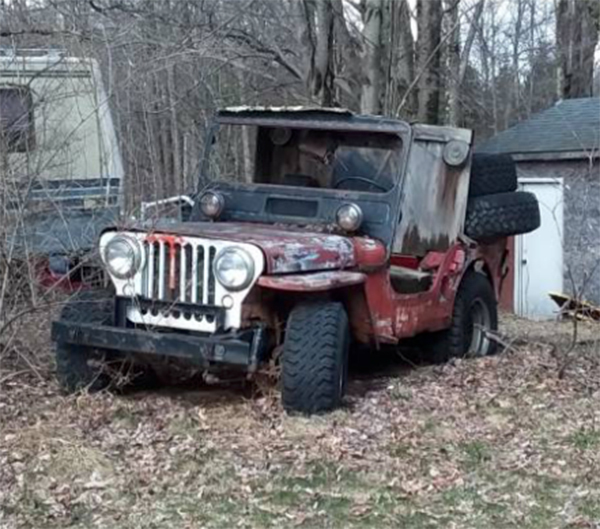 Started it and drove it 5 years ago so it probably needs carb overhaul/cleaning and fuel changed. 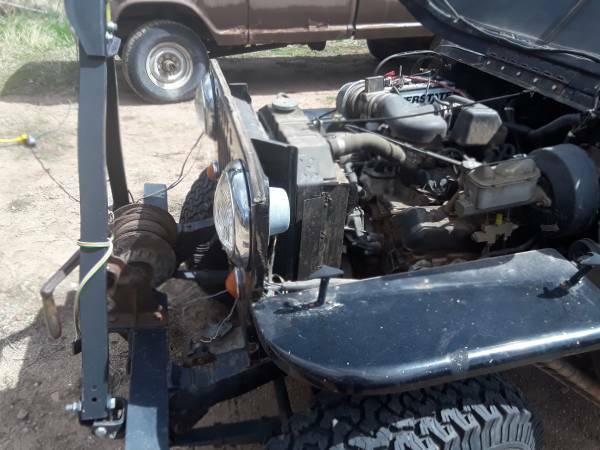 yes this has the 4×4 trans and /2 speed high and low trans and regular trans. No pics provided yet for this jeep. 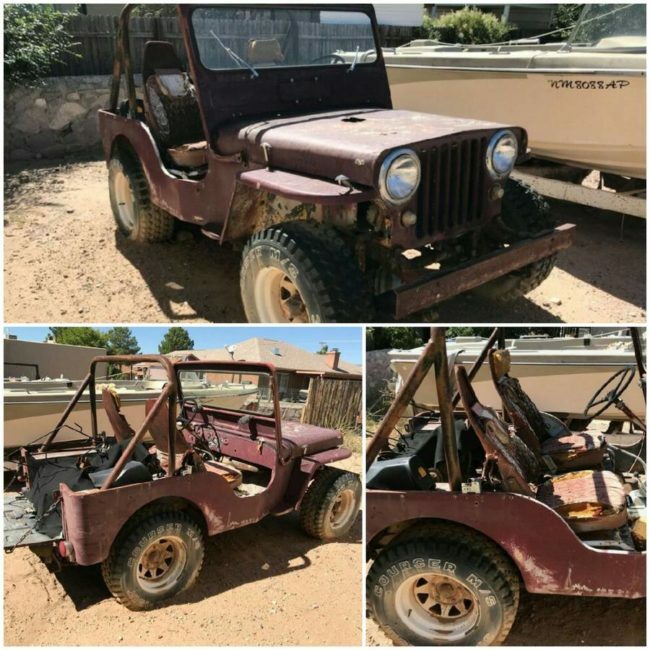 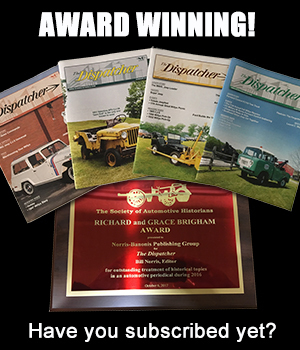 It’s probably a Flattie or a CJ-5. 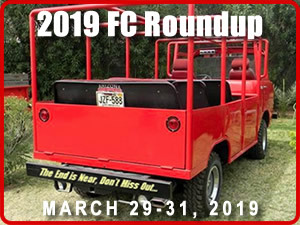 April 9, 2019 • CATEGORIES: CJ-2A • TAGS: Fiberglass. 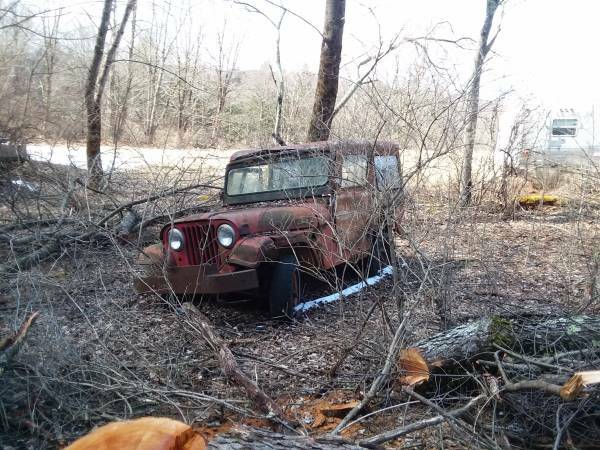 (11/13/2018) Appears to have a fiberglass body. 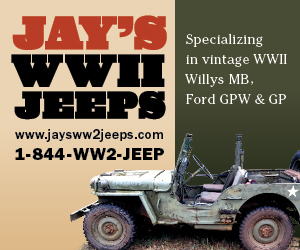 “CJ3 1947 Willy’s Jeep. 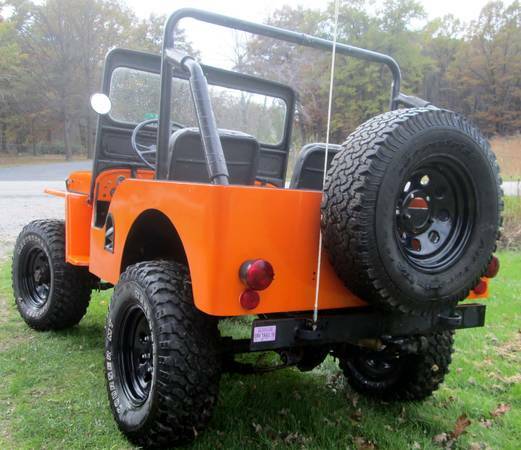 Custom, completely restored. 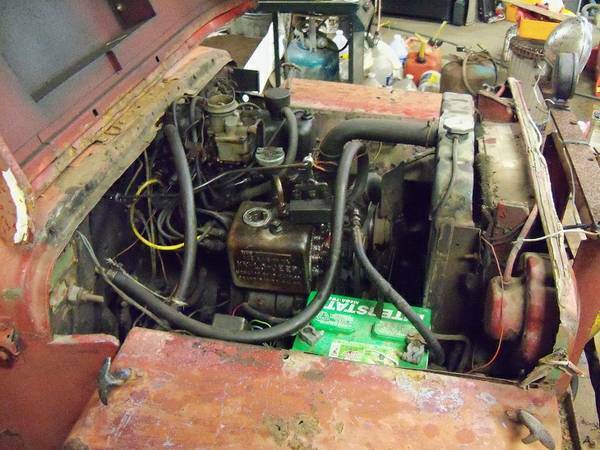 Engine: 350 Chevy Engines, mileage under 2000 on new engine. 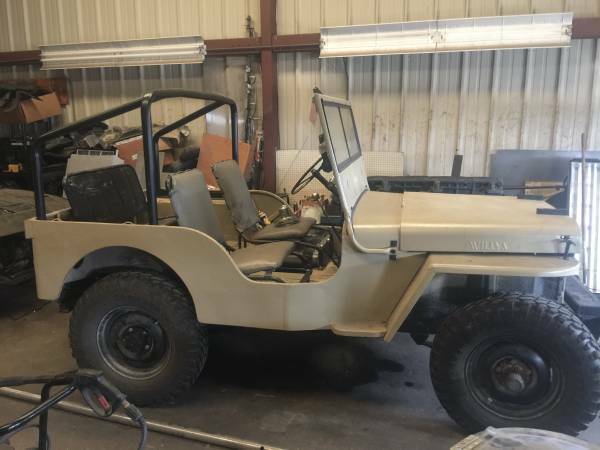 4sp Mussy transmission, 4 wheel drive High/low and 2 wheel drive. 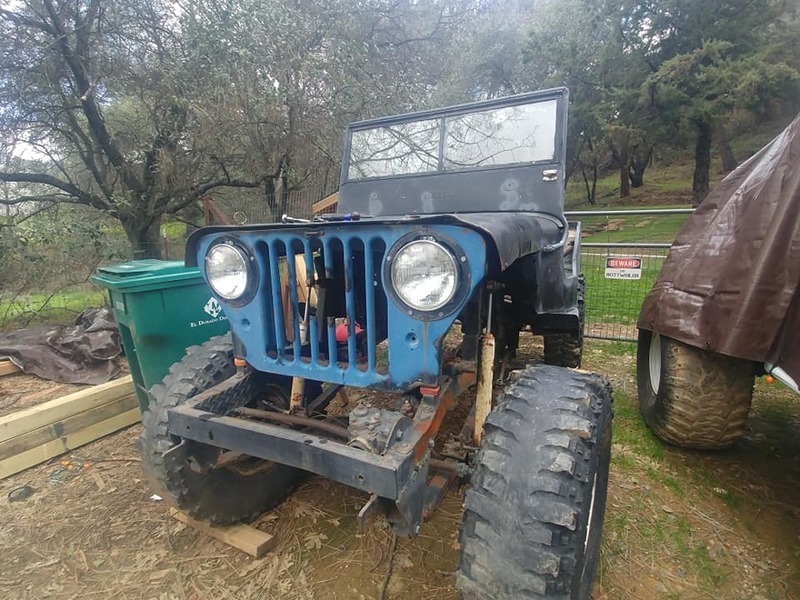 Old style Hubs, manually twist hubs to 4 wheel drive. 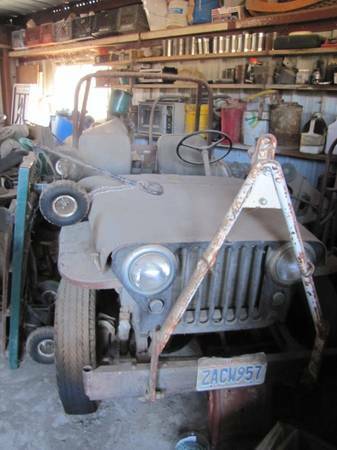 Has been housed covered in a garage at all times! 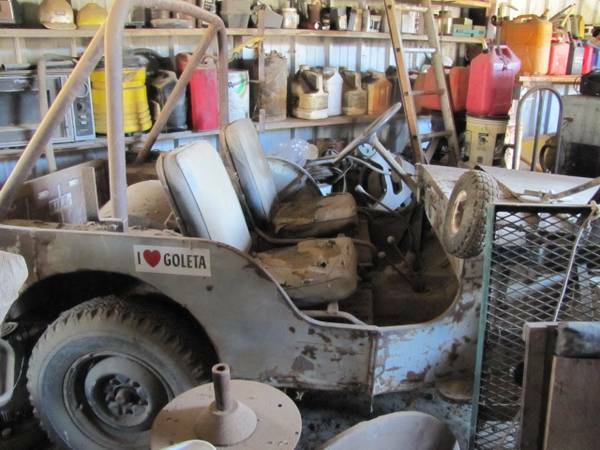 One family has owned this vehicle since 1947. 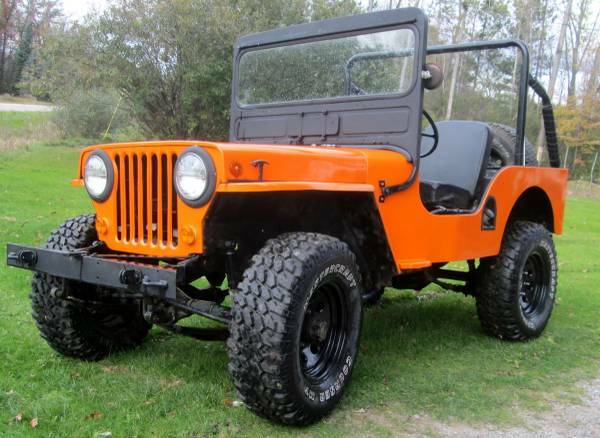 Used to run the dunes, gravel pits, minor rock climbing. 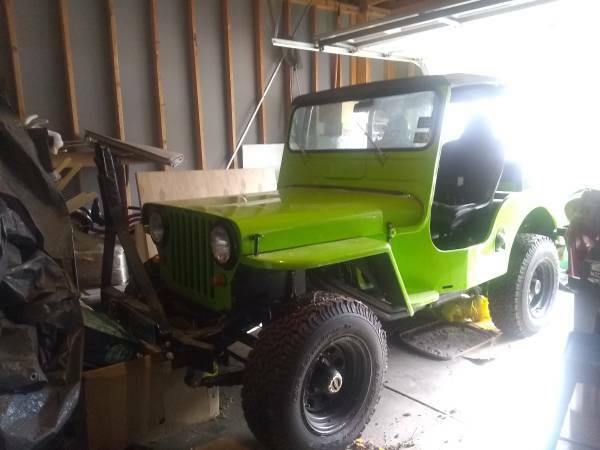 This has been a fun and well-loved this little green monster! 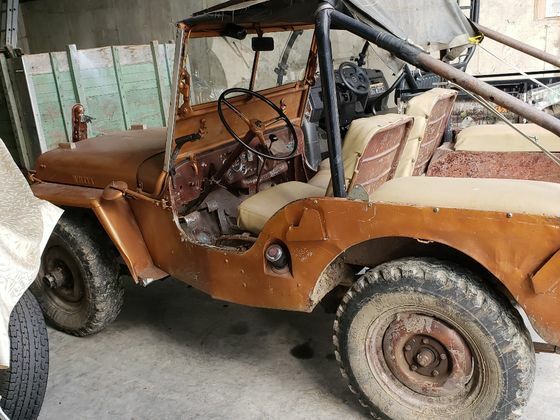 Has been fully restored…BUT NOT RUNNING!! 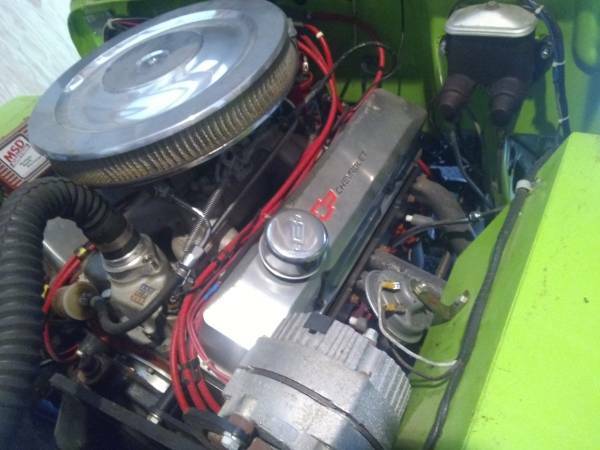 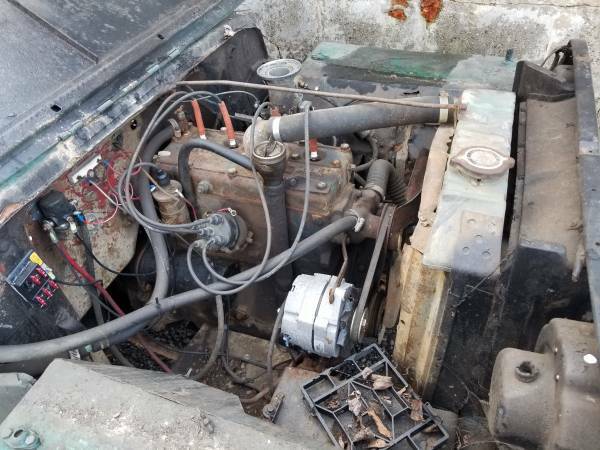 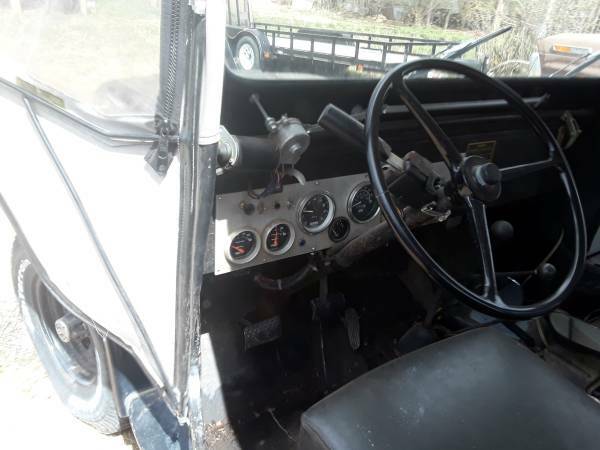 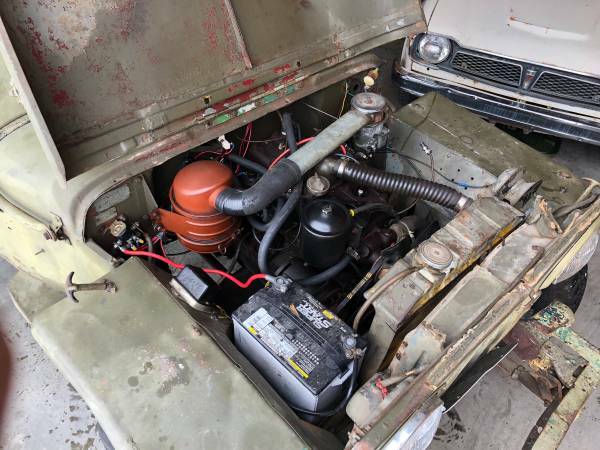 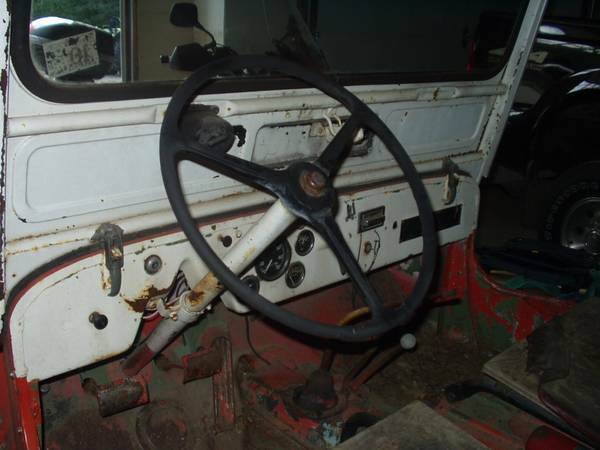 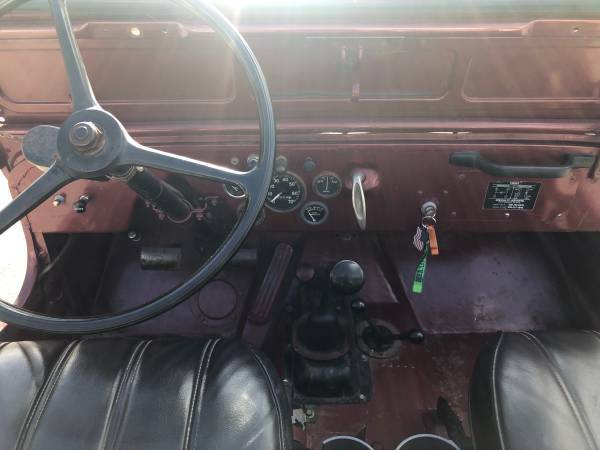 The $1700 price includes the rear PTO and gearbox (I’m assuming the seller is selling the rear gearbox, the shaft, and the PTO … this might not be the case). 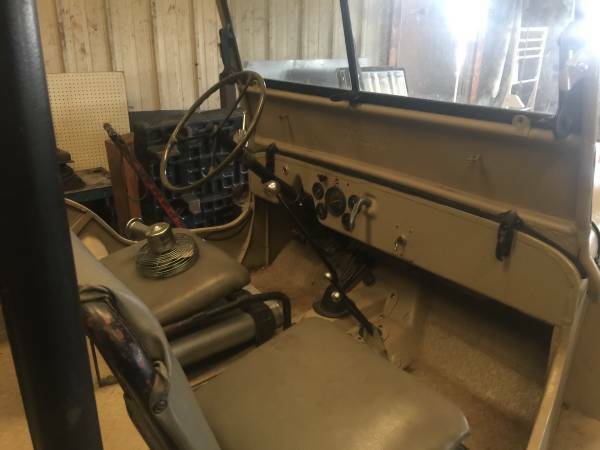 Without it, the price is $1300. 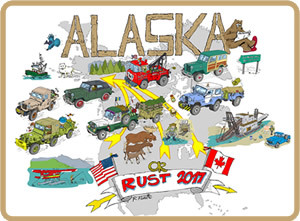 The PTO is also listed separately here. 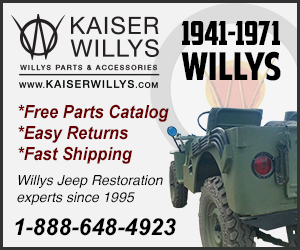 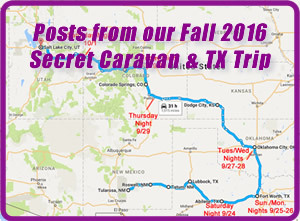 (11/30/2018) Has minor updates. 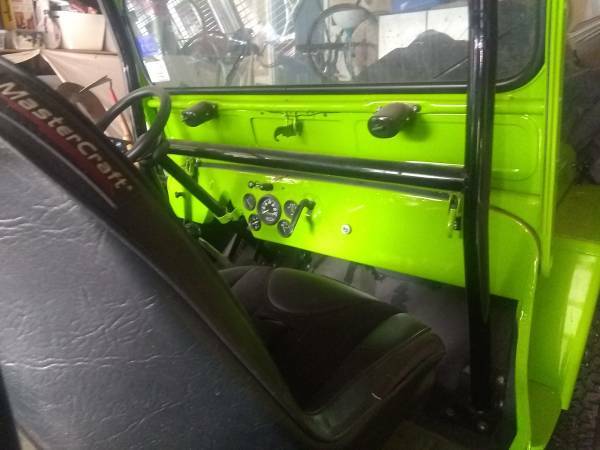 The seats look comfy. Still some work left on this custom flattie.